Saying farewell meant flowers all round. Their facial expressions say it all. 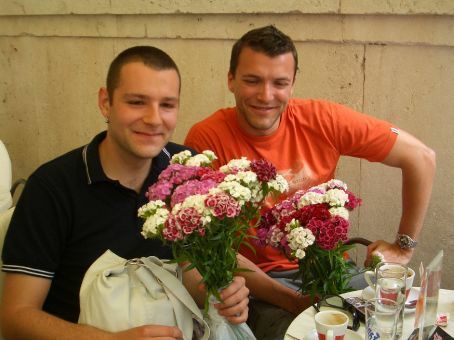 Boys, in Australia it is very masculine to receive flowers!